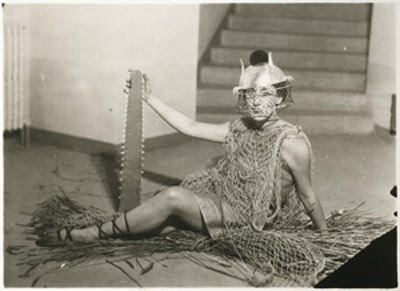 Marie-Laure de Noailles, Vicomtesse de Noailles (1902 - 1970)- a supporter of avant-garde artists, writers and composers. Her circles - names from the past - Balthus, Jean Cocteau, Francis Poulenc, Luis Bunel, Savador Dali, Man Ray, Jean Hugo.................British eccentric Edward James - He left the artistic intellektual life in Paris, New york for the jungles of Mexico and created his own paradise in Xilitla in the Mexican state San Luis Potosi set in the Sierra Madre. Marie Laure de Noailles. 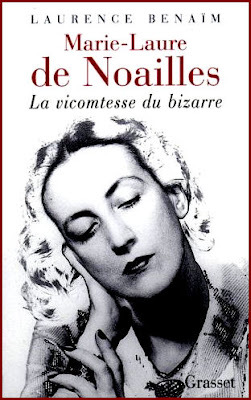 La vicomtesse du bizarre - only in french as far as I know.